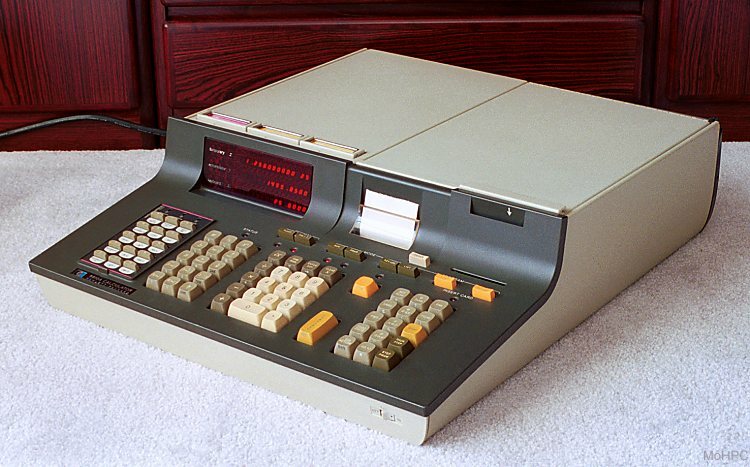 The HP 9810A (AKA the 9800 series model 10) was HP's second calculator. 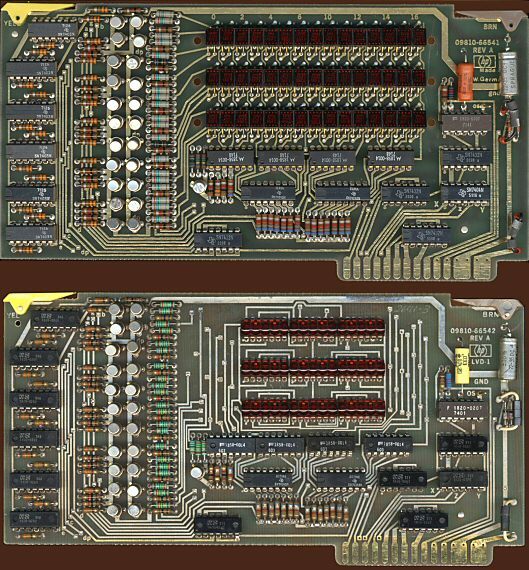 It made use of the new technologies of the time including IC chips for RAM, ROM, and logic, and a three line LED display instead of a CRT. 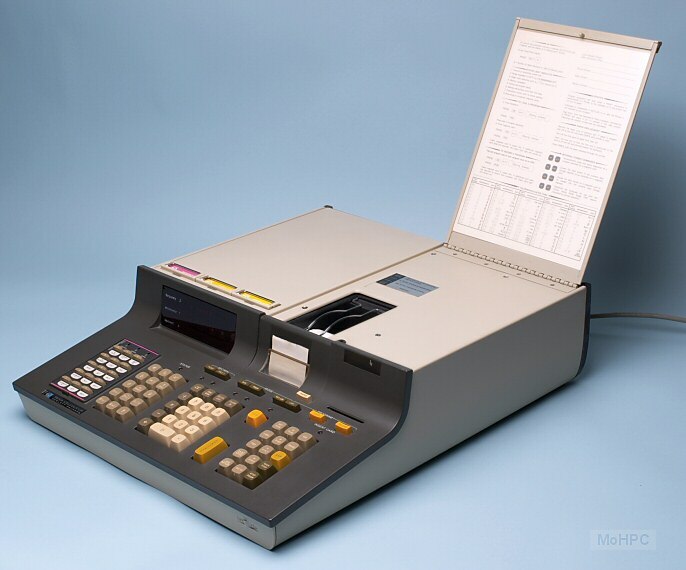 The HP 9810A was designed to make it easy to upgrade from the HP 9100 with many keystrokes behaving the same way. There were, however many new features and large changes to the hardware. In addition to ROM blocks, additional RAM could be added for programs or data. This RAM could be either factory or field installed. There were also four slots in the rear for I/O expansion. 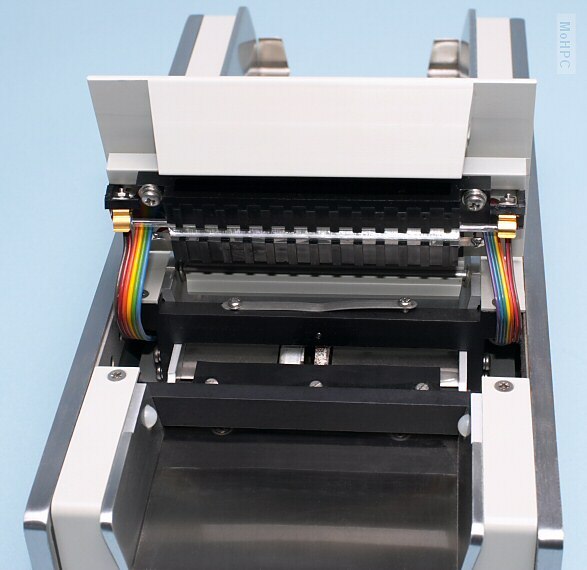 HP realized that because the memory could be expanded to more than 10 times the size of the HP 9100A, line number addressing could be cumbersome. This problem was solved by adding label addressing. 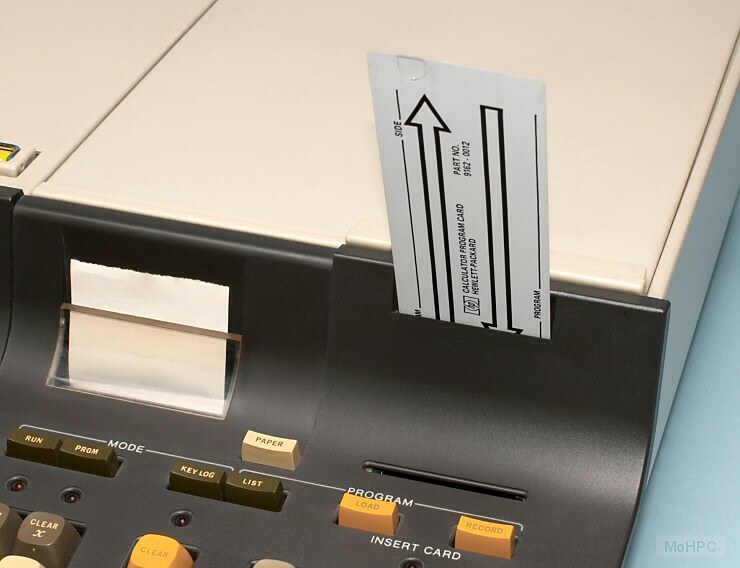 The HP 9810A still allowed line number addressing in the same way as the HP 9100 except that line numbers were now 4 digits long and decimal rather than hexadecimal. However, the new LABEL key could also be used so the user could enter LABEL followed by any other key. When the user wanted to branch to it, the user would enter GOTO LABEL followed by the same key. Indirect addressing was added and was available from any register via the INDIRECT key. For example, the user could store 10 in register 001 and the press x<-() INDIRECT 001 which would retrieve the contents of register 010 into the x register. Indirect addressing provided a great deal more "computer-like" power for the calculator and made it easier to use the many storage registers. Another aid to large program development was alphanumeric listing of programs. 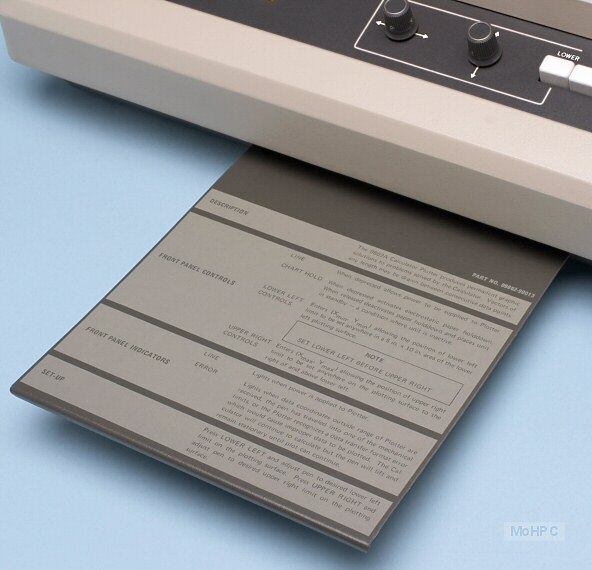 This required an optional ROM block which, when installed, allowed programs to be printed as alphanumeric mnemonics rather than numeric keycodes. In addition, this ROM block allowed alphanumeric messages to be printed within programs. This was accomplished by pressing the FMT key twice, entering the message using the alphanumeric characters printed on the front vertical faces of the keys and then pressing FMT again to return to normal mode. The HP 9100's CRT display was replaced with a three line LED display. 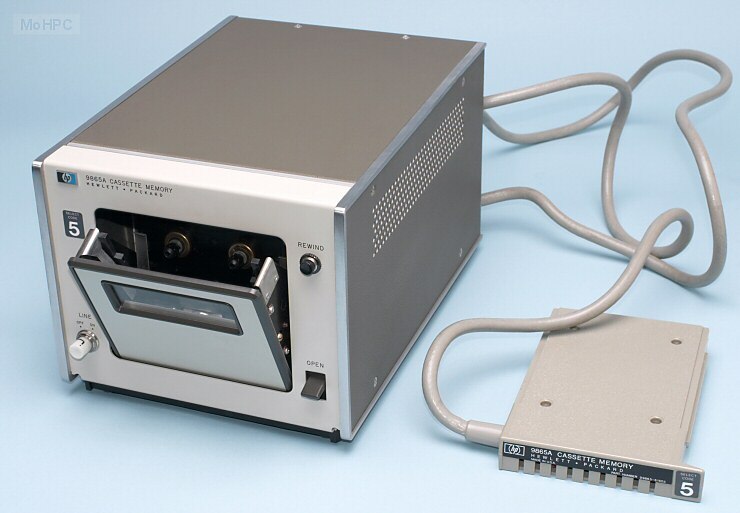 Whereas the HP 9100's cards where loaded into a slot and then removed in the opposite direction, the HP 9810A passed the card through allowing longer cards for more data storage. The case was mostly sheet metal which was lighter though not quite as tough as its predecessor's. The large hatch over the printer opened to reveal a quick reference guide which was handy if the user wasn't tempted to stack more equipment on the large flat area. 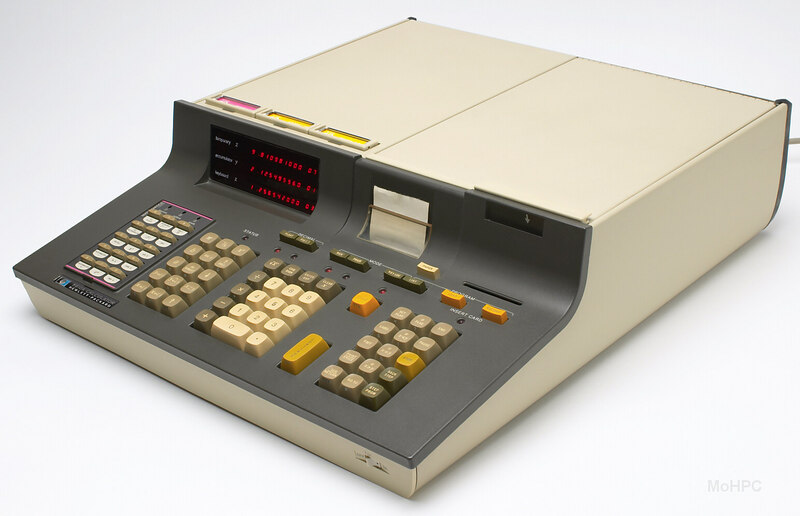 The desktop predecessor to the HP-41C? 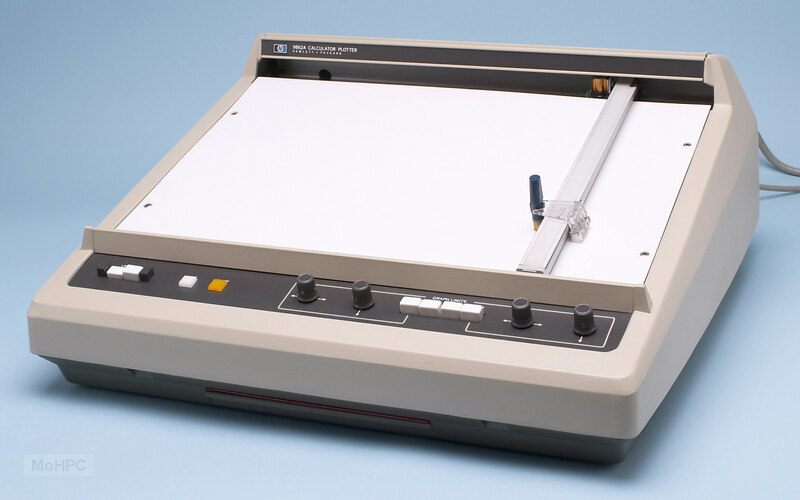 Readers will no doubt notice a certain resemblance between the descriptions of the HP 9810A and the HP-41C. 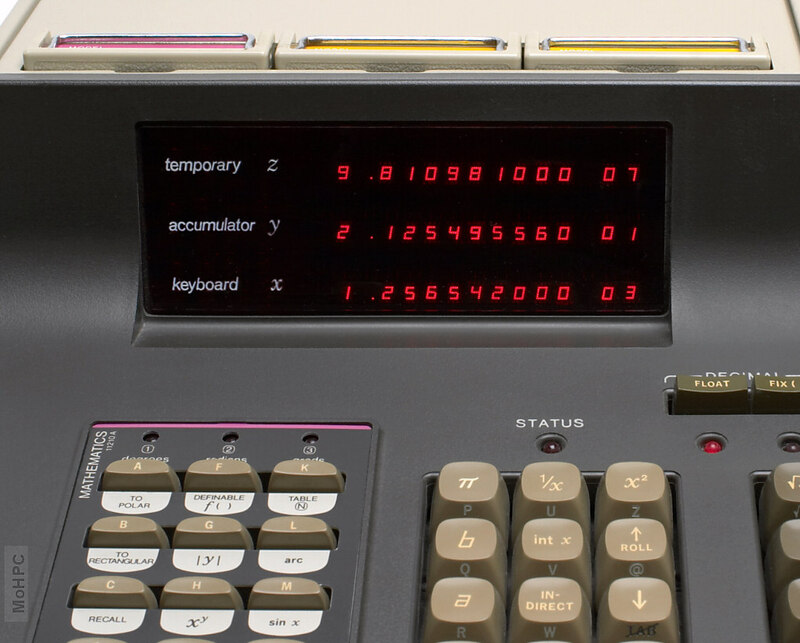 Both RPN calculators were expandable via plug in modules. Both of their respective modules often came with keyboard overlays. Both allowed alphabetic characters but didn't integrate them fully into the operating system as later RPL machines did. Running on AC power only and having the space for a wide bus has its advantages. 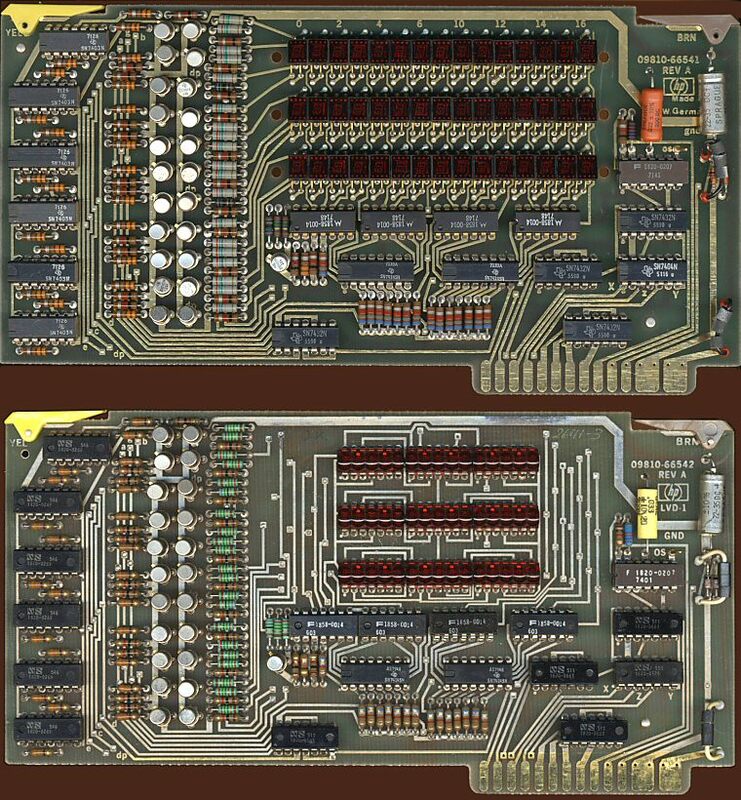 On a simple benchmark RPN program that required a few seconds to execute, the 1972 HP 9810A was about four times as fast as a 1990 HP 48SX. It was vastly quicker than the battery powered handhelds of the '70s. 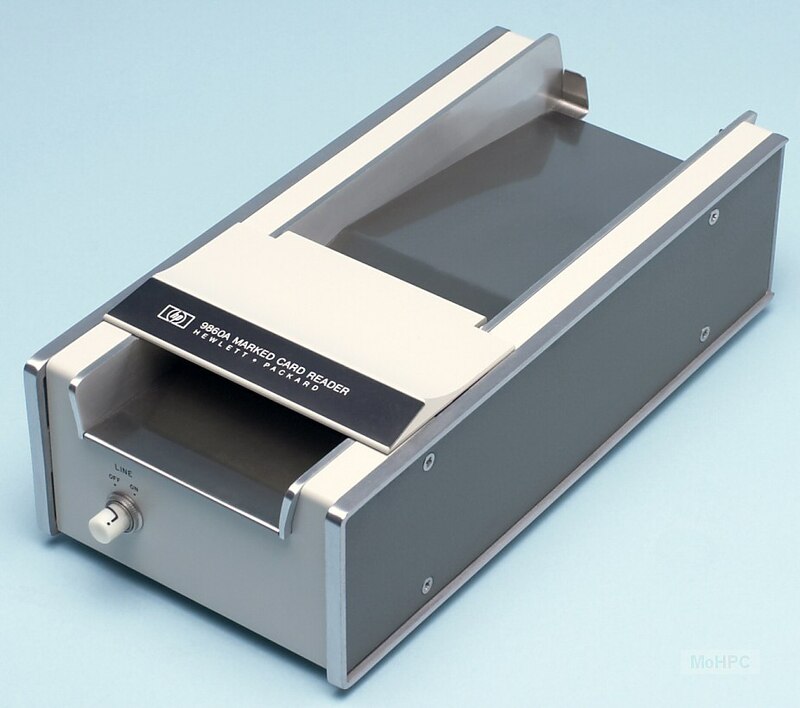 Picture of the card reader. Picture of the ROM area just behind the display. Picture with the printer cover open.